The people-plant connection is a large part of your business, so use research findings and these ideas to help facilitate a link with nature. This series — Fresh Perspectives — provides tips from Generations X, Y and Z. Susan Morgan is a member of GPN’s 40 Under 40 Class of 2017. For more information, visit www.gpnmag.com/40-under-40. Ask anyone who considers themselves a green thumb where their love for growing plants came from, and often you will hear a story that connects back to a positive childhood experience. It could be a story about playing outdoors or picking tomatoes in a parent’s or grandparent’s flower- rich garden or hiking in the woods with a scouting group. One of my earliest memories is that of helping my horticulturist father outdoors and watering newly planted trees with water-filled milk jugs at our church. I recall the satisfaction of giving the trees their weekly drink — understanding that I had a hand in nurturing another living being and contributing to the aesthetics of my community — as well as the praise my parents gave me for lending a hand. From an early age, conscious or not, we desire and seek a connection with nature. This is identified as biophilia, a concept made popular by entomologist E.O. Wilson. It is thought that, in a sense, this innate biological desire is essentially a genetic memory of our deep agrarian roots living in vast natural settings long ago. Whether experienced in the garden or a wild woodland or prairie, nature provides an opportunity for solitude and respite in an overstimulating, technology-hungry world. Active (like gardening) and passive (such as viewing nature) engagement with the natural world offer psychological, cognitive, social and physical benefits for individuals, which can positively impact their overall health and wellbeing. Interacting with plants is a sensory stimulating and restorative experience. Scented geraniums, basil and lavender rouse the olfactory senses, and the sound of wind rustling through the leaves on a tree can be relaxing and comforting to hear. Brightly colored flowers and textured foliage entice visitors to venture further into the garden. As seen with garden clubs and Master Gardener groups, a shared love of plants can help build social connections. Ever feel like you are going, going, going, with never a dull moment? By today’s societal standards, this seems to be a normal, everyday occurrence — but at a potential cost. Multitasking on a regular basis — like driving through rush-hour traffic while talking on the phone — overstimulates the senses and causes mental fatigue, irritability and distress, according to environmental psychologists Rachel and Stephen Kaplan and fellow researchers. Performing certain gardening tasks, like watering, sowing seeds, pulling weeds, or even watching a butterfly flit from flower to flower calms the senses and actually allows your brain to rest, like a computer going into sleep mode. During this resting period, your brain is allowed to decompress and essentially download and process all the information taken in during the day. At the end of this resting period, many report losing track of time, and you may notice less irritability, improved concentration and focus, elevated mood, among other positive benefits. In fact, you may even notice that big or small decisions are easier to make following one of these periods. The benefits of the people-plant connection are wide ranging and supported by research-based evidence. Research shows that common houseplants actually help clean indoor air from toxins, such as formaldehyde. British scientists found that exposure to a soil-based bacterium — the type we are exposed to while digging in the dirt — acts similarly as antidepressants to the brain, releasing serotonin and, as a result, improving mood. The presence of vegetation in urban areas has been shown to reduce aggression, build a sense of community and even lower crime rates — essentially the greener the surroundings, the lower the number of crimes that occurred within those spaces. Expanding on Roger Ulrich’s landmark “Room with a View” study, researchers have compared samples of hospital patients who have views of nature — whether they be views of the outdoors through a window, simulated images of nature on a television screen or even a single houseplant — in otherwise sterile hospital rooms with patients who do not have the same. Research findings consistently show that patients with access to plants and nature experience elevated mood, lowered blood pressure and reduced stress and anxiety, take less pain medication, and have shorter hospital stays than their “nature-free” counterparts. Even staff in these often high stress healthcare settings have been shown to have improved positive outlook and reduced stress and anxiety when exposed to more “green” in these environments. Immersion in outdoor settings, notably forests, helps lower blood pressure, heart rate, and levels of stress-related cortisol. The findings from these research studies, as well as our increasing desire to return to nature, have influenced the recent trends in incorporating biophilic design principles into new buildings and landscapes. As a horticulturist, I have personally experienced the benefits of my job and number-one hobby — of which many have been outlined above. This has fueled my current work in facilitating therapeutic horticulture programming with a variety of populations, particularly with individuals who have limited access to plants and nature due to medical, logistical and other reasons. Building on the biophilic foundation, therapeutic horticulture programs benefit people from various backgrounds and a range of ages, abilities, and interests and are typically facilitated by a professional trained in the use of plants and horticultural activities as therapeutic tools. Among the first documented accounts of the benefits of the people-plant connection dates back to 1812, when the father of American psychiatry (and signer of the Declaration of Independence) Dr. Benjamin Rush wrote about the benefits of digging in the garden for his patients in mental health treatment. Since then, gardening activities were increasingly used in hospitals and other settings with a variety of populations over the years. 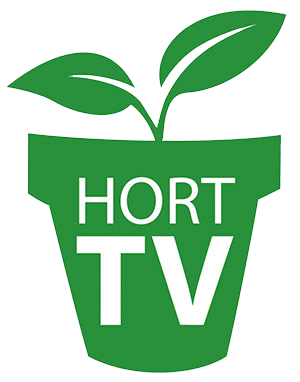 In 1973, the professional organization that is now the American Horticultural Therapy Association was established, and the field of horticultural therapy continues to grow and gain public awareness. During a floral arranging activity, a client with dementia reminisces about growing sunflowers as a child. A tree ring study enables clients who have experienced the trauma of war to connect with fellow group members and gain perspective on the layers of good and challenging times in their lives. In growing vegetables from seed to harvest, a young incarcerated man experiences the results of channeling his energy toward a productive outlet and satisfaction of sharing the food he grew with others. These are real-life examples of client responses to various activities. In my therapeutic horticulture programs, I aim to provide meaningful experiences with plants for my clients, including once-avid gardeners, so-called “brown thumbs” and those who say they aren’t into plants. Depending on the goals and nature of each group, the activities are multilayered and designed to work psychosocial, physical and cognitive skills. I often include elements that are intended to educate, inspire awe and wonder, spark conversations about times of long ago or the current moment, build social connections, work fine and gross motor skills, increase focus and concentration, improve mood, and more, all through the use of horticulture. The work we do in the green industry is already inherent to facilitating the people-plant connection. We design and install the beautiful landscapes that clients want, grow and sell the plants they plant in them, and so on. So how can we enhance how we communicate the message on the benefits of plants to the gardener? Look beyond selling a product to … cultivating an experience. Offer products that appeal to a range of abilities and uses. Consider how your products empower and enable your core audience’s ability to successfully participate in their intended gardening activities. Tools with universally designed qualities, such as those with lightweight, ergonomic or telescoping handles, appeal to individuals who have issues with arthritis, tremors and gripping tools or difficulty in reaching, bending or stooping during garden tasks. Tools that come in bright colors and are easily distinguishable in a garden bed are appealing to individuals who have low vision. Containers or raised planters that are lightweight, sturdy, adjustable, moveable, easily locked in place, and of varying sizes make planting activities more accessible for gardeners who have limited mobility or range of motion. An assortment of stylish yet comfortable garden gloves can aid someone with a tactile sensitivity in successfully completing garden tasks, such as digging or watering. Additionally, these tools also appeal to a wide range of gardeners who find their characteristics easier or more comfortable or fun to use. Develop strategies for marketing plants that promote their “healthy” qualities. Offer periodic social media promotions that cultivate nature appreciation or mindful moments, such as a close-up image of a beautiful passion flower or fern frond with an inspirational quote. Feature a grouping of plants based on their interesting sensory qualities, such as citrus-scented herbs for olfactory stimulation or fuzzy plants for touching. Develop a handout or teach a class that features common and unusual houseplants that help to clean the air. The National Initiative for Consumer Horticulture has a series #PlantsDoThat infographics with promotional material and other resources to consult. Provide inclusive programming. If your business offers continuing education classes, workshops and events, consider the characteristics of your core audience and their extended family members. Offer classes on accessible gardening techniques, workout routines or yoga for gardeners, or gardening for health — not just nutritional and physical health, but also mental health. Host a family friendly event that welcomes individuals of all ages and abilities in a judgement-free zone. Consider the communication methods in which you interact with your customers and staff; avoid use of outdated and offensive terminology when communicating with and about individuals living with disabilities, illness or personal challenges. Consult and partner with area organizations that advocate on behalf of special interest groups and/or promote healthy living. For example, next year during the first week of spring in March, partner with a local horticultural therapist to organize community awareness activities during Horticultural Therapy Week. Or, partner with the Alzheimer’s Association to host a hands-on planting workshop for individuals with early stage dementia and their care partners.